Scapegoating underfunded public schools for deeply rooted racial and economic problems makes little sense. But it’s been a ticket to the top for Cory Booker. In fact, it was by hitching his star to the corporate-backed “education reform” movement that Booker first rose to prominence. Yet rather than improving this system by increasing school funding or building public “community schools,” Booker made a hard case for charter schools as well as school vouchers, i.e., state funding for parents to pay for private schools. To give this pitch a social justice veneer, he quoted Frederick Douglass — “power concedes nothing without force” — and steeped his arguments in the language of racial justice. Despite long-standing myths about the private sector’s efficiency, much of Zuckerberg’s money was squandered in thousand-dollar-a-day consultants and other ill-thought-out initiatives. And despite this massive private sector cash inflow, Booker’s reforms have done nothing to actually improve public education in Newark schools, even if one judges school quality through the dubious criteria of test scores. But these reforms did succeed in rolling back teacher union power, shrinking the public sector and undercutting democratic control over education. Another key Booker initiative was to impose “merit pay” in 2012, which tied teachers’ salaries to the evaluation of a panel composed primarily of non-educators. The policy — which was unfortunately accepted by union leaders including AFT president Randi Weingarten — has increased administrator power to discipline educators, pitted teachers against each other, and incentivized “teaching to the test.” Yet even from the highly questionable criteria of improving test scores, Newark’s merit pay policy has been a failure. In 2013, Booker’s hedge-fund supporters in Democrats for Education Reform (DFER) doled out a quarter of a million dollars to elect him to the US Senate. 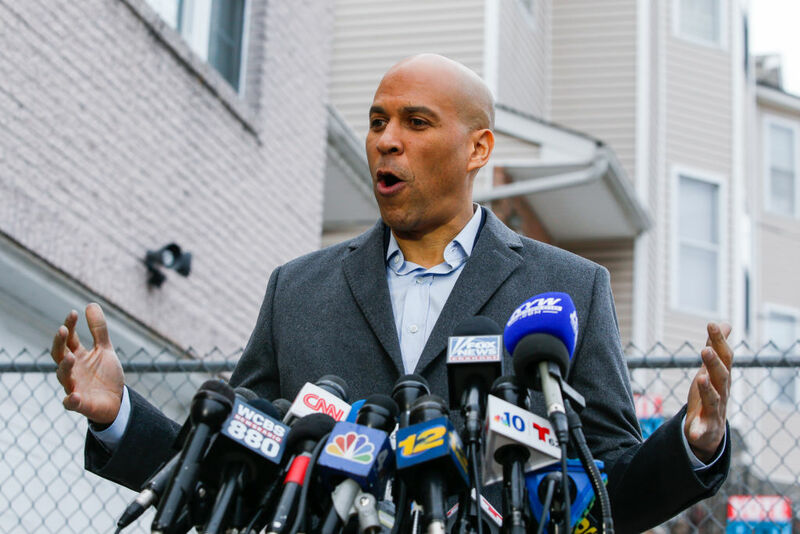 As DFER executive director Joe Williams explained, the founders of the organization “knew each other before, but they got involved in politics together to support Cory Booker.” In Congress, Booker fulfilled the mandate of his corporate backers by supporting initiatives like the extension of Washington D.C.’s school voucher system. He also joined the advisory board of DFER, which has successfully pushed school reform with the Democratic Party and, more recently, has taken the lead in trying to stop the teachers’ strike wave. Booker’s response to the recent Los Angeles teachers’ revolt was similarly equivocal. He professed his support for LA educators the very same week that he gave the keynote address at a charter school rally in New Orleans. Like the Democratic National Committee, Booker’s vague solidarity tweet failed to mention the word “charter” or “privatization.” But as union leaders and socialist politicians like Bernie Sanders and Alexandria Ocasio-Cortez have pointed out, LA teachers were primarily fighting to stop a billionaire-funded plan to privatize their public school system.